Hey now, do the ladies really have to hay in the sweltering weather?! I didn’t figure this could be true but no doubt the women could make hay, too. 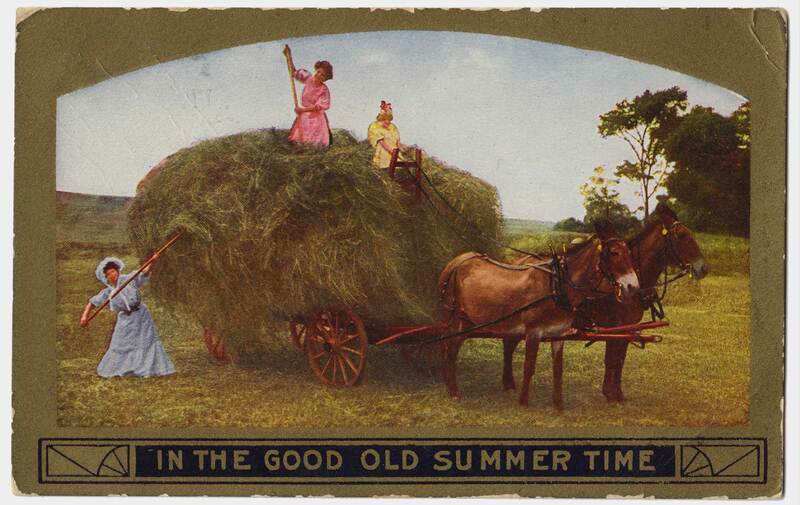 The funny thing about this postcard is that it was sent in the wintertime. Hahaha, those of you native to Wisconsin definitely looking forward to those summertime days when it’s bitter cold outside. 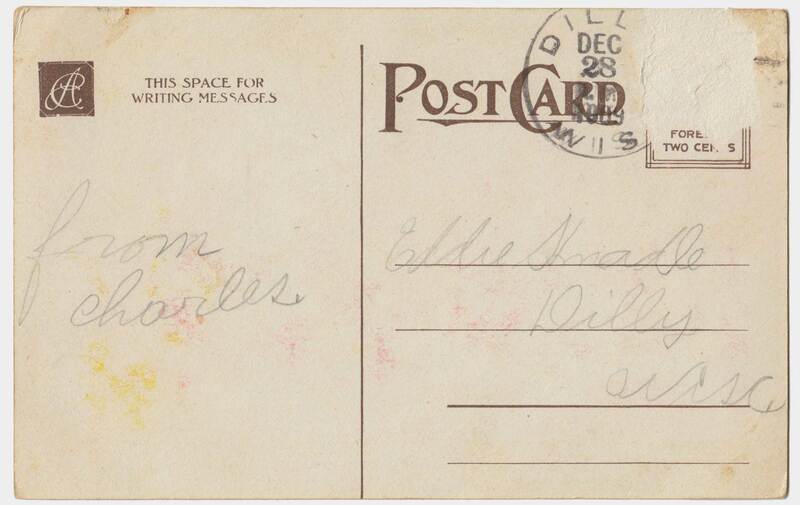 DILLY DEC 28, 1909 WIS. This entry was posted in Humor, Photograph, Postcards, Typography and tagged agriculture, animal, cancellation, Chromolithography, humor, logo, metallic, monogram, postmark, typography by lancesknadle. Bookmark the permalink. This could have been Charlie Wonderwitz who in later years lived with Grandma & Grandpa Knadle. I think he was Grandmas brother. I think you’re probably right. It’s fun to think he sent a humorous postcard to great uncle Ed.